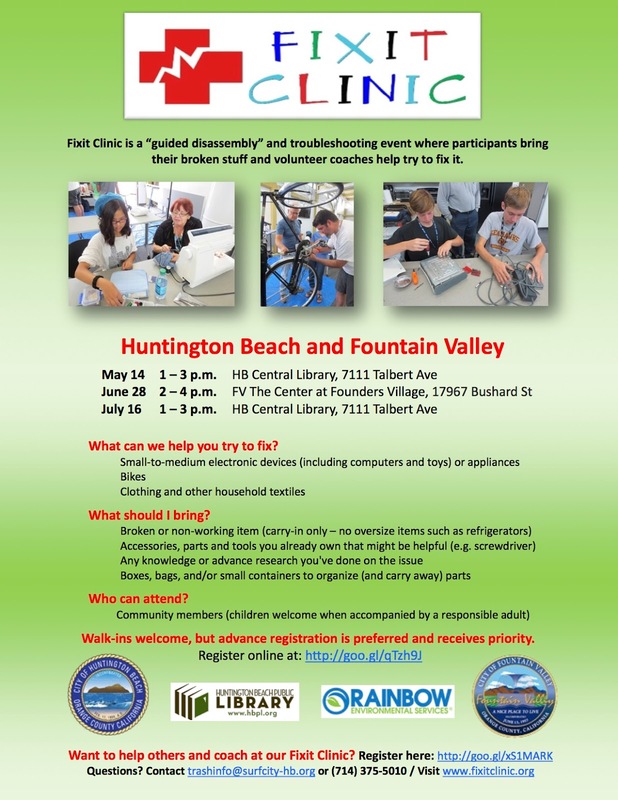 A beautiful Saturday morning drive down US 101 south of San Jose leads to the majestic Gilroy Library and our latest Fixit Clinic triumph. We're quickly adding a fabric and textile repair to our repertoire, we had an even complement of both electronics coaches and fabric coaches today. The handle of her luggage broke on her last trip and would no longer extend, she fixed that. As always, everyone had a great time! The Department of Public Works in Huntington Beach, CA is sending out this flyer in the water bills to all 48,000 rate payers. Holy Cow: they're going to be busy at these three events! Back to the City by the Bay, our beloved San Francisco for our third Fixit Clinic at the Richmond District Neighborhood Center, and our second event here with the Bay Area Bike Mobile providing bicycle repair services. Kelvin's heater had the classic issue we see over and over again: a blown in-line thermal fuse. Luckily it was easy to get to and replace.